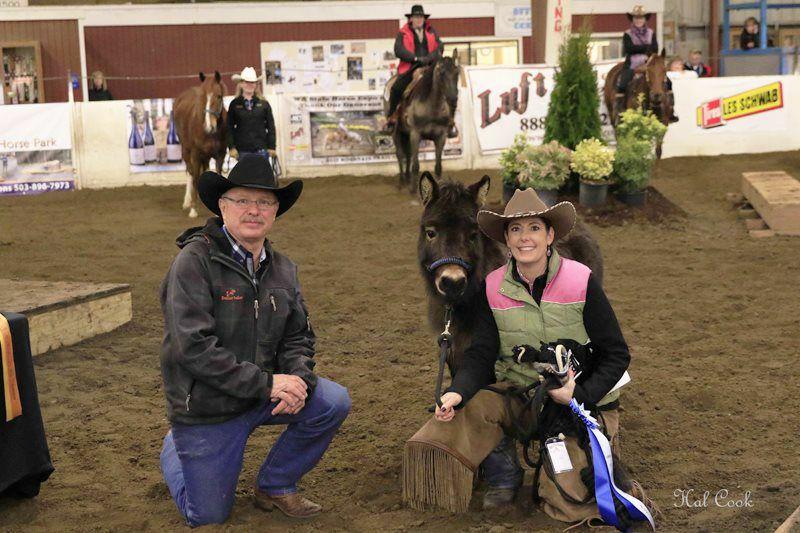 Thank you Buckaroo John of Buckaroo Leather for donating halters and lead ropes for the awards. 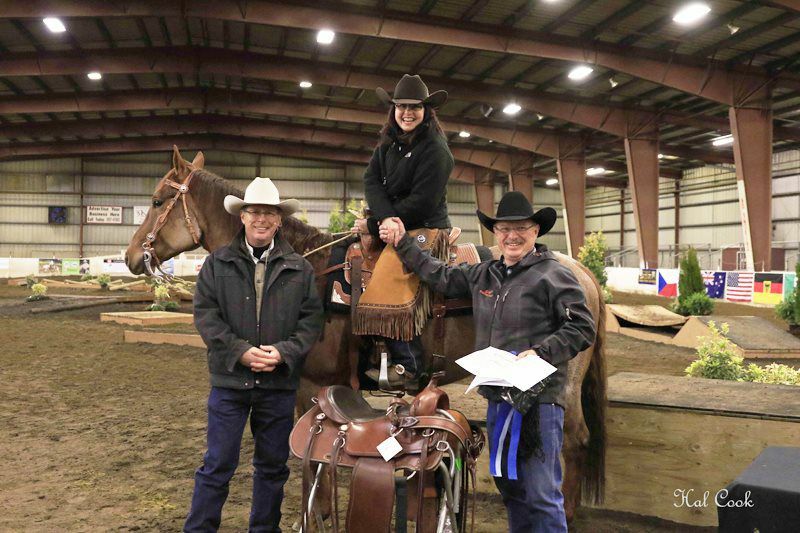 I competed at the Washington State Horse Expo in the Level 2 Trail Challenge and Championship on March 5, 2017. After completing a fun and challenging pattern, I awaited the results and found out I was the winner of Level 2!! 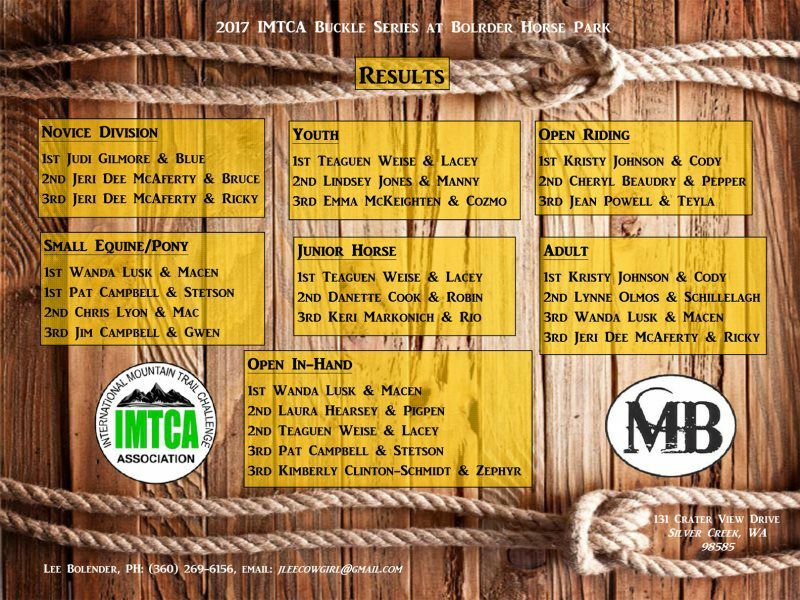 I was so excited to find out that I won the Cashel saddle your company so generously donated to IMTCA as an award for the event. 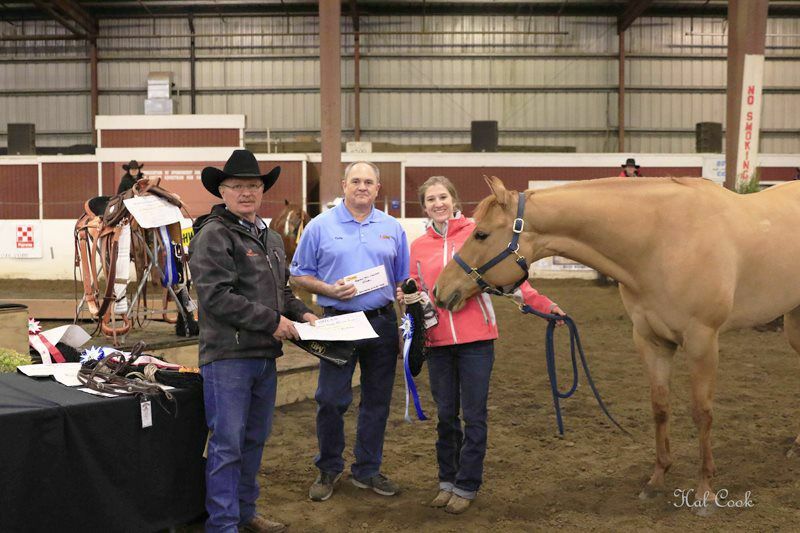 I have shown horses for several years and have always wanted to compete in an event with the opportunity to win an exceptional award. I am still in shock, and so very proud of this accomplishment! The saddle fits, is very comfortable and looks great on my horse. Thank you ever so much for this wonderful prize! 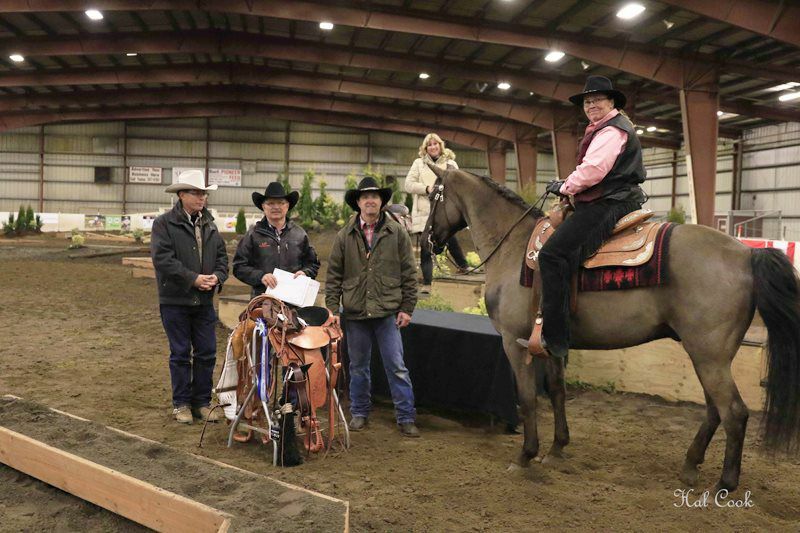 Biscuit and I would like to extend our sincerest appreciation to all those who contributed to the success of the Mountain Trail Challenge at the 2017 Washington State Horse Expo in Vancouver. 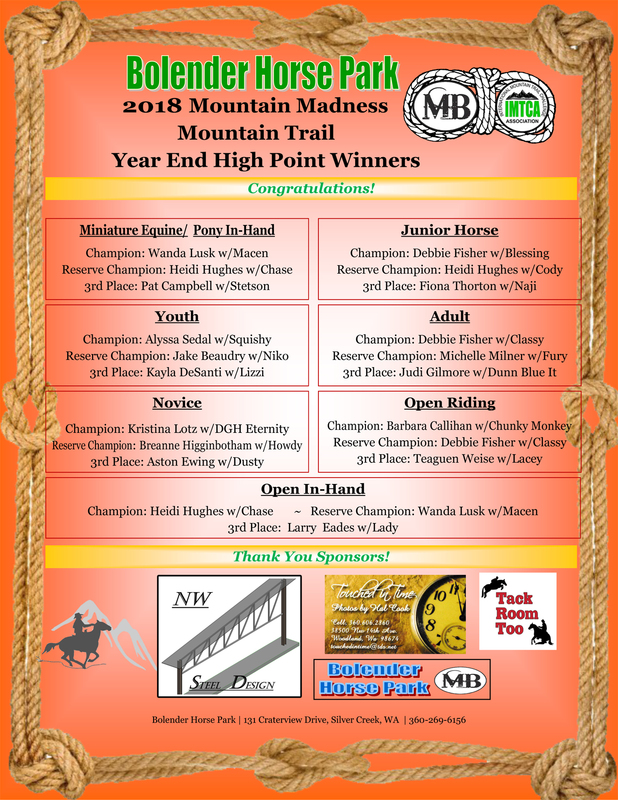 The awards from the sponsors (Luft Trailer Sales, Colorado Saddlery, Hay Chix, the Bolender’s, and Wanda Lusk) were outstanding. It was most a fun and challenging course, and simply amazing that it could be assembled on site in such a short amount of time. The level of competition was great, and the collegial attitude amongst the competitors was fabulous. Much thanks!